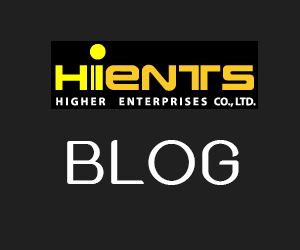 กระดาษทดสอบความกระด้าง (DiaQuant® Water Hardness CE* test strip ) | Higher Enterprises Co.,Ltd. This test strip is for the convenient and reliable determination of low-range water hardness in feed water. The easy Dip & Read procedure provides reliable results in 10 seconds. The test is used after the water-softener stage of the clean-up process. Softening is a pretreatment for water that usually undergoes further purification processes like reversed osmosis. 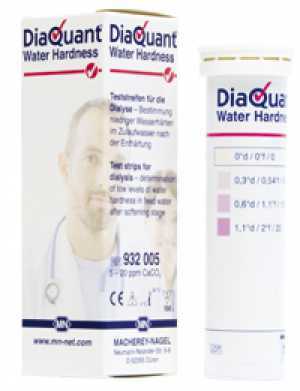 Hard water can damage the delicate osmosis units, thus decreasing its effectiveness and operating life. Water hardness is the total concentration of Calcium and Magnesium expressed in degree of water hardness or in mg/l (ppm). With DiaQuant® Water Hardness levels down to 0,3°d or 5 mg/l (ppm) can safely be detected ensuring proper feed water for the reversed osmosis system.